Distilled glycerol monostearate, called DMG90 OR GMS99 mainly used in the plastics industry, mold release agents, plasticizers, antistatic agents, but also particularly suitable for plastic foam products, such as EPE FOAM anti-shrinkage agents, meanwhile, distilled glycerol monostearate as lubricants are indispensable in the composite lead salt stabilizer. In addition, in the production of PVC products,DMG90 as an internal lubricant. 1 Lubricant: The DMG90 as a nice lubricant, can effectively reduce the viscosity of the resin melt, reducing the plasticizing temperature, improve the flow of polymer, little effect on transparency, and stearic acid and dried. 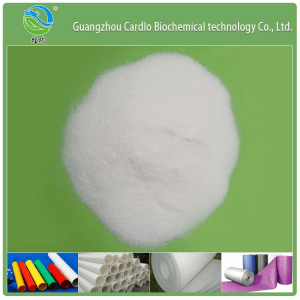 In blown film processing, after adding monoglycerides to prevent adhesions, used for PVC, PE, PP and other materials. 2 Antistatic agents Antistatic effect of the DMG90 is very significant, drop can reduce electrostatic plastics forming and accumulating the plastic products to reduce the dust absorption, maintaining transparency and clean surface appearance of the article. Such as PE, ABS, PP and other plastic products, anti-static. 3 Anti-shrinkage agents, EPE foaming agent, The DMG90 is ideal for foaming aid and anti-shrinkage agents, can be used for high-density polyethylene, polystyrene foam, with blowing agent such as butane, with use, there are very good results. Moreover, the application of the aid plastic foam products clean bright surface is very smooth, no shrinkage. As physical foaming aid in the production of EPE can help it form more fine and uniform bubbles, thereby increasing the volume and maintain EPE effectively prevent shrinkage. Excellent emulsifying properties so that a uniform fine foam structure, reducing the bubble contraction, especially against the shrinking capacity of low winter temperatures, the light cleaning of the product is smooth, save raw materials. 4 Anti-fogging, Anti-trickle: Atomized agricultural plastic film surface not only hinder the sunlight, and drops of water dripping condensation on the crop, would seriously damage the crops. The aid can produce good anti-fogging effect, through its surface activity, the film surface is easy to wet, condensed water droplets can flow along the film, avoid direct fall. As anti-fog drops, DMG90 is food grade ingredients, a very safe and efficient feature, can be safely used in food packaging materials. Depending on the model, there is a long time to play dripping effect and can control the flow rate drops. Excellent surface activity, plastic resin film surface manipulation easy to wet, transparent, dew condensation in the air can flow along the membrane, so having a good sealing and printability, transparency favorable light, as a long-lasting anti-fog agent drops flow agent. 5 Release agent: This DMG90 is an excellent release agent, to reduce the friction between polymer molecules, thereby reducing the polymer melt viscosity and improve its flow ability. The aid has the advantage of good compatibility with resin, easy to disperse, to shorten the production cycle, high yield, suitable for transparent products. Particularly between the metal surface and the resin molding machine, extrusion molded articles can be improved and enhanced production of surface gloss of the molded product. 6Plasticizer plasticizing aid, aid modified: The DMG90 and the resin has a good compatibility, it can penetrate the resin molecules, increase flexibility, improve melting and injection molding, to reduce the force with each other between the molecules, lowering the softening temperature, melting temperature and glass transition temperature, reduce the melt viscosity, thereby increasing the flow ability of the polymer, of plastics molding process ability and flexibility of the articles. When molding process, less prone to decomposition, discoloration. 7 Cosmetic emulsifiers, thickeners:DMG90 as emulsifiers and thickening agents in cosmetics industry, the production of cream products indispensable. Since DMG good emulsifying and thickening ester having a stabilizing effect, so it is suitable for oil / water (o / w) type or a water / oil (w / o) emulsion-based cosmetics, medicines, such as emollient fat , hair cream, shampoo, cream, cleanser, soap advanced, cod liver oil emulsion, ointment, improve the dispersion of the dispersed phase, to ensure product quality and stability. 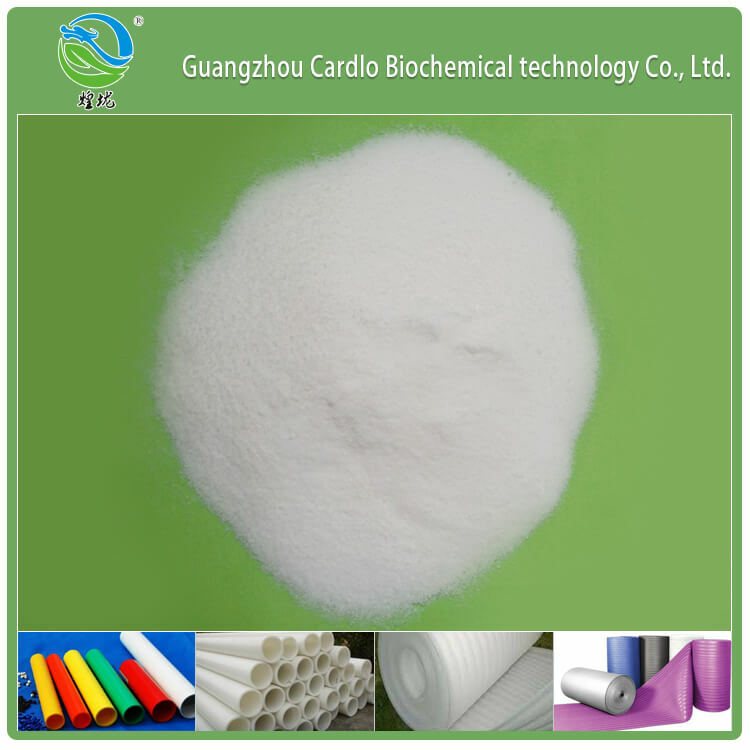 Copyright(C)Guangzhou Cardlo Biochemical Technology Co.,LTD All rights reserved.